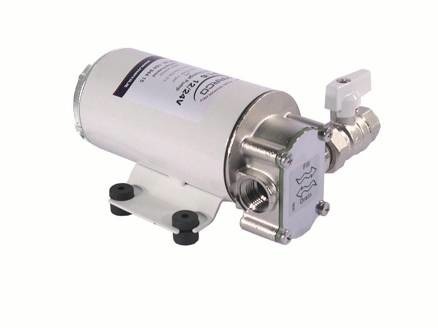 4.0 GPM�Oil change pump, equipped with 1 valve. Conceived for oil fill and drain operations. The operative functions are electronically controlled by a membrane panel. The electronic card adjusts the speed of the pump according to oil viscosity/temperature. It also increases the speed of the pump during priming. Automatically shuts off in case of empty tank, short circuit and after 30 minutes of operation.